Charlton is a senior at Fellowship Christian School and freelancer writer for Roswell Magazine. IT’S NO MISCONCEPTION THE HOLIDAYS present a wonderful opportunity to propose. Encompassed by the ebullient atmosphere of Christmas, people that opt to get engaged during this time do so because they are surrounded by family members and loved ones. But what should they know before starting the process of finding the perfect ring? Purchasing an engagement ring is an incredibly individualistic process that looks different for everyone. Although it is strenuous to pinpoint any single most popular design right now, one that has failed to lose relevance throughout time is the round brilliant shape, which resembles a prism-like cone. However, some current trends deviate from this classic cut. 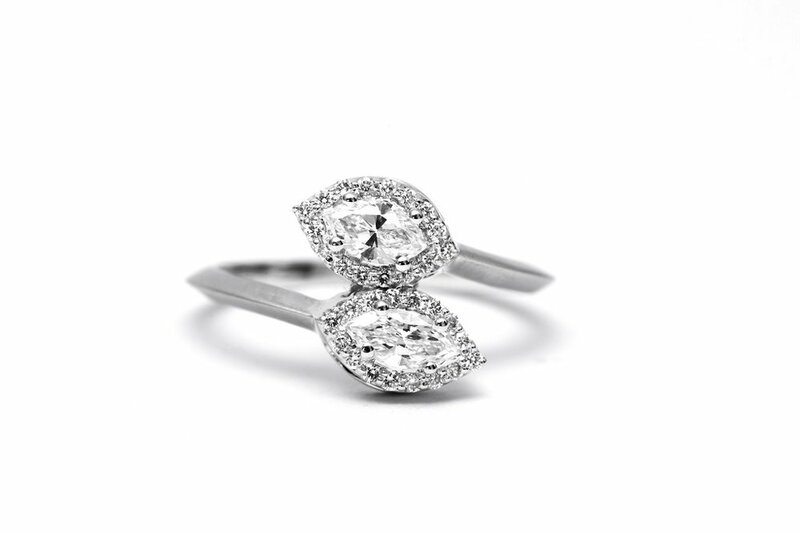 “Ovals or pear shapes are interesting as center stones,” according to Jamie Jaffe, owner of and senior designer at Brilliant, a customized jewelry boutique. “Some people like squares, some like rectangles. Others like something a little softer, like a cushion cut or an oval.” In terms of how the main diamond is showcased on the ring, people’s preference varies. 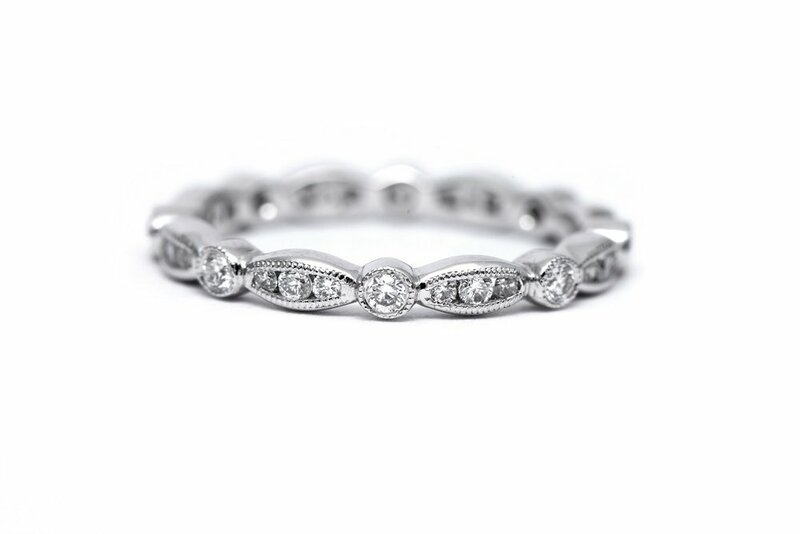 “A lot of people like the stone by itself in the center, which is more of a solitaire design, and sometimes they like the sides embellished a little bit with some stones. 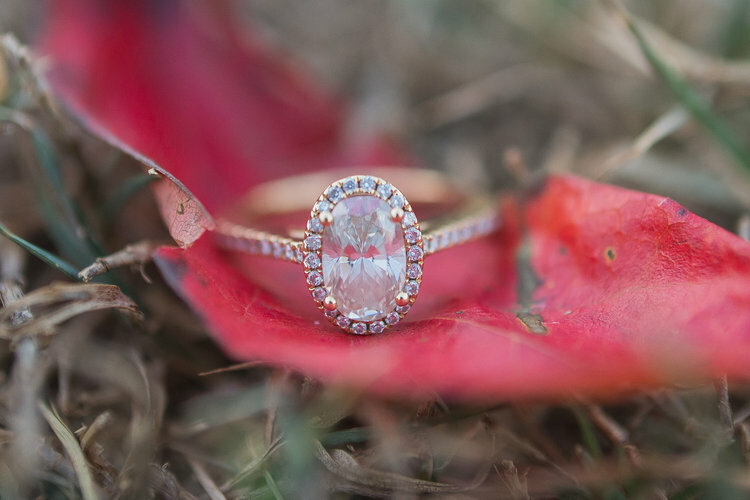 Other people like it with something called halo, which is diamonds that actually surround the center stone.” Above all else, Jaffe remarked that Brilliant strives to find a ring unique to every buyer no matter the style, a quality paramount for sustaining lifelong satisfaction. Obviously, a factor like price is also very important when deciding on a ring. When starting the search, you not only want to be aware of the styles of a ring, but also of how to judge its quality. “[People] are looking for getting the most they can for the best value,” said Christina Kanthak, an experienced jeweler at Meridian Diamond. Price is determined by what’s called the four Cs: clarity, color, cut, and carat weight. Clarity is the measure of a diamond’s transparency, where you want as few inclusions (marks) as possible, if any. Color is, paradoxically, how color-less the stone is and one of the most subjective ways to evaluate its quality. 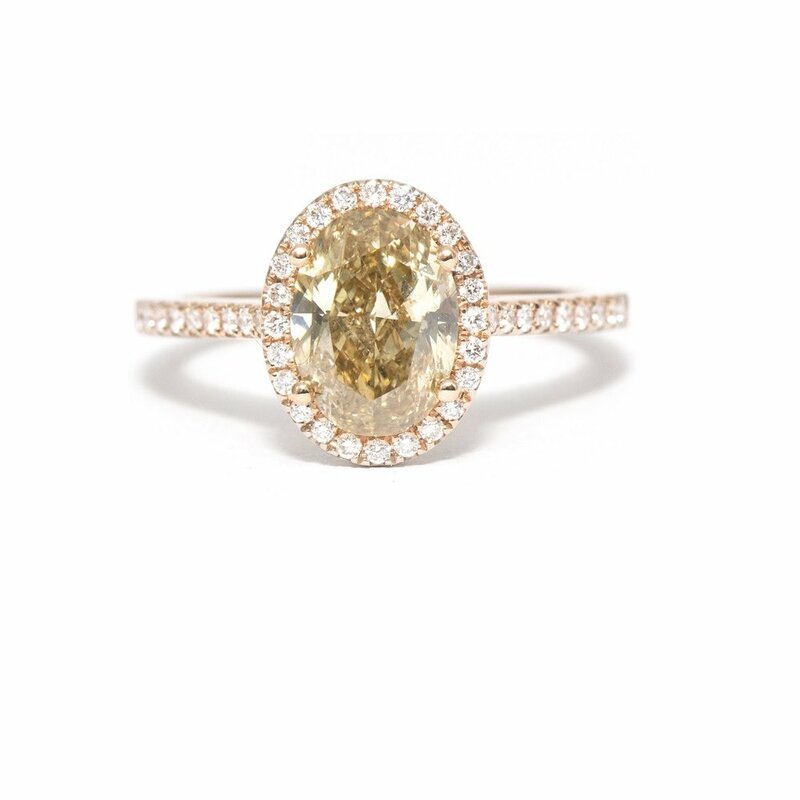 “You don’t want it to be a pale yellow color unless you are trying to buy a yellow diamond,” elucidated Kanthak. “You want it to be a clear diamond, not grey.” Cut refers to its shape and proportions, and carat weight to its mass. Evaluating these components holistically is crucial in deciding the overall price of a diamond. A stone that is two carats but not as colorless as another that is one carat may be much less valuable. If you plan on purchasing a ring for the holidays, be cognizant that business gets much busier at jewelry stores around Christmas. Not only are people similarly looking to get engaged, but gift-giving is at an all time high and diamond accessories are no exception. The time it takes someone to decide on a ring varies tremendously, so be prepared to devote the effort necessary for finding one that meets your requirements. “It could take a matter of minutes to many, many months until somebody makes a decision that’s right for them,” noted Jaffe. You can find Brilliant on Canton Street and Meridian Diamond on Holcomb Bridge Road both in Roswell.